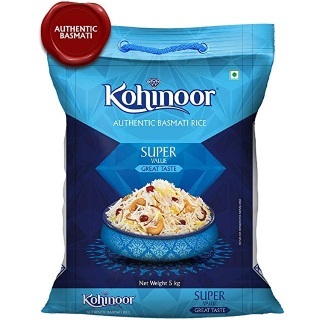 Amazon Pantry Offer on Rice - purchase Kohinoor Super Value Basmati Rice, 5kg worth Rs.820 at Rs.620. Kohinoor Super Value Basmati Rice is an authentic basmati rice that has superior cooking, Super value and superb basmati taste. This type of grain is carefully selected for length and superior aroma and is processed in a world class manufacturing facility.